It may be a cliche, but there truly is no other place we would have wanted to relax! Thank you for an awesome few days. Your home is gorgeous, the view is spectacular. We thoroughly enjoyed our meals and many snacks. We hope to visit you again in the future. You have carved out a place where folks can feel right at home, your hospitality is unmatched. The way you treat one another and work together is truly an inspiration! Thank you for everything you did this week. Without you our visits would not have been as successful as they were. You made us feel like family. Thank you so much for letting mom melody and me stay in your beautiful home. Your home is so beautiful and relaxing. I loved looking at all of the antiques. The hospitality was wonderful, you two are so thoughtful and welcoming. Even More Than We Had Imagined! We would like to thank you for so graciously accepting us into your home and treating us like part of the family. This is our first weekend vacation together and thanks to the friendly and relaxing environment that you have created here at Marvels on the Creek, I am positive it will not be our last. We will always remember Debbie’s pretty smile and Allen’s welcoming face. Your home is the best B&B experience we’ve had. You have a resort and a home. Those large fish caught with Allen actually made my summer. Being so close to the Suicide Bridge Restaurant and the river boar experience just added to our fun here. We had friends stay there in August and we visited them. What a beautiful setting! They loved everything about your home and I cant wait to surprise my son and daughter in law with a weekend getaway on the creek! Could not have had a better time or nicer hosts. Felt right at home and made us feel welcome as soon as we arrived. 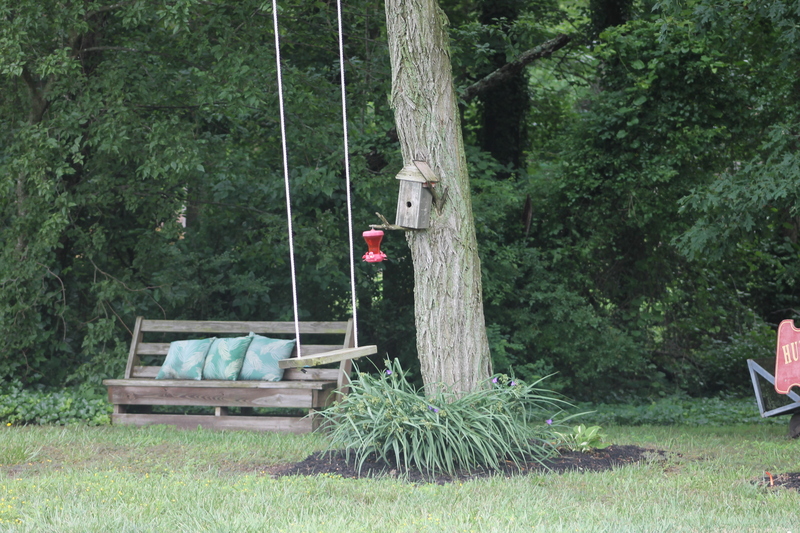 You have a beautiful home and yard and just a perfect setting for a B &B. Great food, wine and new friends. I needed a place to stay while I was in town to attend a family wedding and all the hotels were booked. I figured I would give Marvels on the Creek a chance and I was so glad I did. The owners are very friendly and made me feel right at home. My room was very comfortable and the place is located in a very quiet spot on the creek. Breakfast was perfect. I just loved Marley [their yellow lab] who greeted me every time I pulled into the driveway. No matter what the occasion is next time I am staying at Marvels on the Creek. What a wonderful anniversary Todd and I enjoyed in your beautiful home. So peaceful and relaxing, just what we needed. We left all the hustle and bustle of our busy lives back in Ocean City and just enjoyed each other. We will certainly be back again and I will be recommending your “Marvelous” retreat to many. Thank you for a great weekend. The room was very comfy and relaxing. We will be back in the fall. I don’t really want to leave. From the first phone call to our last breakfast, you have made the celebration of our 60th wedding anniversary a day we will always cherish! We wish you both a long & happy life. Thank you so much for opening your home to our family. You have truly been blessed with a beautiful home. Trinity and Eden I loved playing with Marley and I think they will miss him. We truly felt like we were home while we were here. We came for out Granddaughter’s Wedding – and was amazed – what an awesome hideaway this place is – we truly – truly enjoyed every minute we were here – and would recommend anyone to come and stay with such an awesome couple (Debbie & Allen) – and don’t forget “Ms. Marley.” So as you can tell I just can’t say enough good things about this beautiful home. Thank you for a great weekend. Photo Show us your favorite moment!